I gravitate toward narrative, its offering of logic; a pattern is created even when it does not announce itself. (In this way, you can attempt order.) And so I assign a rationale to my reading of late: In the one pile are books that insist on distraction, and in another pile are books that tempt resonance. These days, I try to avoid the latter—never mind that I’ve tended to champion the more mercenary side of reading: to find myself in the text—but it is, I tell myself, unavoidable. And so even my more innocuous reading choices—the books plucked on calmer mid-week evenings from shelves, on the basis of an appealing spine, or the memory of having bought it, or the ever-present guilt of having owned a book for years and years unopened—must carry the burden of being relevant, of raising high a mirror, of articulating griefs and furies. It was safe, at first—darkly comic that it was almost zany, and it was difficult to pin emotions to. We’ve a nameless young woman overrun by children, thrice-married, now-widowed; her latest husband is a playwright, successful, casually unfaithful. The husband has urged her to see a psychiatrist—”She doesn’t do anything!”—and it is in the doctor’s office that we first meet our heroine, amused and befuddled at this little man’s questions, warily dismissive of the stories she’s letting loose. The woman and her husband live in a sprawling house, but they’re having a tower made of glass to retire to in the summer. There was a woman named Philpot in their shared past. But: Everything is safe, at first. 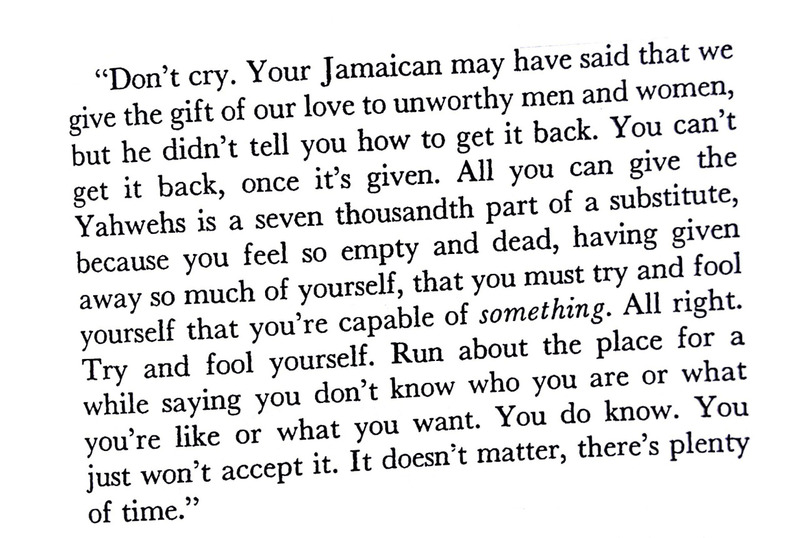 Some books announce themselves with a punch to the gut, some with a sting. Some sneak up on you and take care to embrace you with a numbness that expands as you need it to—all the better to prepare you for the sick, sly shock of recognition. This is, I know, a return to obliqueness. Everything goes back to talking-in-code, apparently. I shall will this to be a temporary stumbling. I work once again toward a more straightforward untangling of feeling: I just need to find the perfect alchemy of nerve and ambivalence; hone perhaps-dormant skills re knowing what to divulge and what to imply, and in what manner: Which book, or artwork, or film must bear the mantle of ushering intimacies? That said, a warning for those who require from this space just-books: This is a decisive careening away from how I’ve written about books here—though I will continue to write about books for publications like Esquire, as their ol’-timey printly tactility certainly doesn’t deserve the horrors of reading-provoked truthfulness. You will have thoughts; I will aspire for facts—but, abandon hope, ye who enter here: There shall be feelings; there shall be loves; there shall be longings. 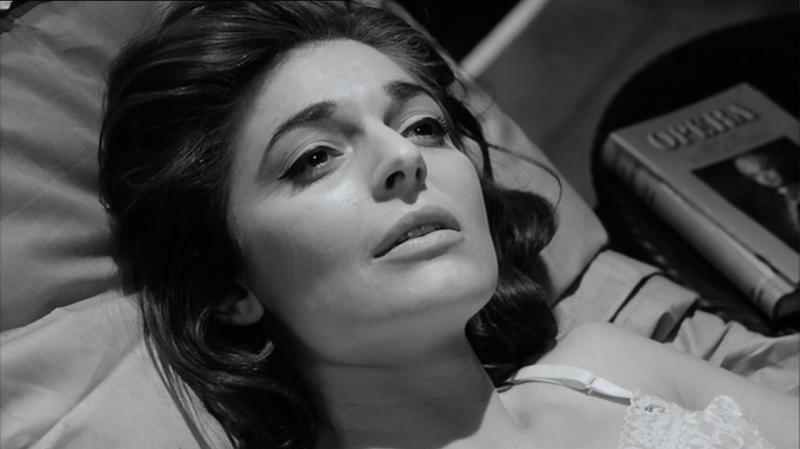 Anne Bancroft in The Pumpkin Eater, 1964. Wow, I really love the way you write. How long have you been writing for? I love the part that says how we women give everything we have to an unworthy but “he didn’t tell you how to get it back.” This resonates with me so well in my first marriage. The shall always be feelings; there shall always be loves; there shall always be longings… amazing. This is a beautiful post and I look forward to reading more, feelings and all. I also recognize my joys and hurts in the fiction that I read, and usually I am grateful for this. It happens too infrequently and I find myself searching for that reminder that I am less alone. Books that don’t do this sometimes leave me feeling smaller and somehow lacking. I hadn’t considered that seeing your experiences in someone else’s fiction could evoke those same feelings. Lovely. “…never mind that I’ve tended to champion the more mercenary side of reading: to find myself in the text.” This book, not one I would likely pick for myself, is made intriguing by your writing. The exerpt about the inability to love is a stab in the heart, no doubt. This is a very beautiful post. Why indeed shouldn’t you write about feelings invoked by reading? We can get facts and plot synopsis anywhere. Only here can we learn how a book made YOU feel. Hi Sasha, Nice write up. I would love to see more interesting stuff in your blog. lovely post — and interestingly i am drawn toward reading, and sometimes re-reading authors from the 50s. penelope lively, iris murdoch, and my favorite, barbara pym. some themes are timeless…. I’m so glad you’re back! I always did come here to read the feelings and the loves and the longings anyway. What else is fiction made of? This is really an awesome post. I enjoyed the way you present the content. Great post. I love the way you write. These women who love inferior men are the pattern in every Pynchon novel. I see it in my life and have for decades. I see women loving unworthy men.Please stop it. If you can’t find any other kind, forget them.